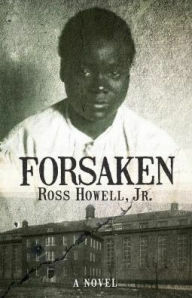 Kritters Ramblings: Review: Forsaken by Ross Howell Jr.
Review: Forsaken by Ross Howell Jr.
Goodreads: In April 1912 white, 18-year-old reporter Charles Mears covers his first murder case, a trial that roiled racial tensions in Hampton, Virginia. An uneducated black girl just five feet tall, Virginia Christian was tried for killing her white employer, a widow. "Virgie" died in the electric chair at the state penitentiary one day after her seventeenth birthday, the only female juvenile executed in Virginia history. Young Charlie tells the story of the trial and its aftermath. Woven into his narrative are actual court records, letters, newspaper stories, and personal accounts, reflecting the true arc of history in characters large and small, in events local and global. Charlie falls in love with Harriet, a girl orphaned by the murder; meets Virgie's blind attorney George Fields, a former slave; and encounters physician Walter Plecker, a state official who relentlessly pursues racial purity laws later emulated in Nazi Germany. Kritters Thoughts: A story that takes place in the town where I grew up in another time. The year of 1912 and although the outcome of the civil war is well behind the south, the tensions between races is still high. A white male journalist gets caught up in the racial tensions as he tries to find the truth behind a murder where a young African American girl is the prime suspect in many people's eyes. I was initially drawn to this book because it takes place miles from where I was born and raised. I had heard stories about my particular city and its not so positive origins and how the city lines were decided, so when I heard about this book, I had to read it. It was a good read. I felt as though the book was more about the journalist then it was about the murder and the girl. I wanted him to do more investigative journalism and less "cultural" journalism, I wanted him to get to the bottom of the crime and I didn't feel like he did. I did enjoy reading about this time period and so close to my home. I know there was truth in this book and that made it an enjoyable tread. If you have a hard time with dialects this will be a slow read for you. I had to take my time to really read slowly to make sure I was getting all the bits and pieces. 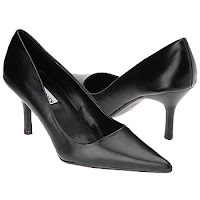 With any historical fiction, I always love them more when there is truth behind the fiction. Disclosure of Material Connection: I received one copy of this book free of charge from NewSouth Books. I was not required to write a positive review in exchange for receipt of the book; rather, the opinions expressed in this review are my own.